Thermal conductivity is the ability of any material to transfer heat. The concept is studied in thermodynamics, which is the branch of physics that deals with the interaction of heat and our environment. Every element in the universe has a different thermal conductivity, which comes into play from the simplest interactions with the environment, like how warm your watch gets around your wrist, to the most complex, like the creation of skyscrapers. Heat is a form of energy, meaning that it has the capacity to influence substances at the atomic level. When heat energy is added to a material, the atoms that compose it often react by vibrating. That might sound strange; things that are warm, like a bowl of stew or a cup of hot coffee, don’t shake in your hands. But that is because atoms are millions of times smaller than a strand of human hair and are tightly held together by attractive forces. That isn’t to say that there isn’t proof of this movement, however. In fact, a cup of coffee provides the foundation for an example. 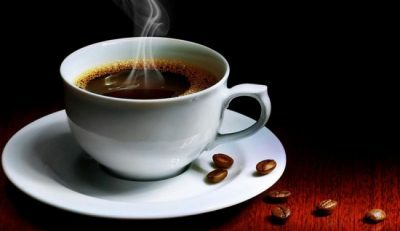 In the process of preparing a cup of coffee, whether in a machine or on a stove, heat is added into the mixture of water and ground coffee beans. After it’s finished and poured into a cup, you might notice two things: the cup slowly becoming warmer and the steam coming out of the liquid. The steam is composed of water vapor, the gaseous form of liquid water, created through the addition of heat energy into liquid water. Specifically, the added heat causes the atoms within the liquid water to move so intensely that they break free of the atomic bonds that make them liquid and they become gas. But have you ever wondered why steam rises? Steam rises because the environment around your cup of coffee is colder than the cup of coffee itself. This is due to a concept that is closely related to thermal conductivity called thermal equilibrium, which is the state in which all substances within any given environment are at the same temperature. It is this concept that explains why your cup becomes warmer when you add your hot beverage. Thermal equilibrium is so universal that it is considered a scientific law. In fact, we use the term “room temperature” to describe substances that are fully thermally balanced with the temperature of their surroundings. Thermal equilibrium is crucial to the conversation of thermal conductivity because, without it, heat would not be transferred. In the hypothetical scenario where thermal equilibrium did not exist, we would not be able to add heat to anything cold (unless we utilized radiation or light) and things that are already hot would remain hot for an incredibly long period of time. In essence, the only reason we can measure the rate of heat transfer is because heat is transferred due to thermal equilibrium. However, the rate at which a substance transfers heat varies according to material. A material with high thermal conductivity transfers heat very well, but a material with low thermal conductivity does not. This relationship between rate of transfer and the dimensions of the material feature heavily in the equation of thermal conductivity. The international standard unit for thermal conductivity is the watt per meter Kelvin – W/mK. While the “watt”, the standard unit for power, is normally used for electricity, in thermodynamics, the watt represents the rate of heat transfer. Since thermal conductivity measures the ability of any material to transfer heat, the thickness of that material and the temperature are important. Those are represented by the standard length unit and temperature units—the meter and the Kelvin. More literally stated, this unit represents the linear rate of heat transfer through any material according to its thickness per degree. where k represents the thermal conductivity, Q represents the rate of heat transferred in time t, A represents the area of the material that is transferring the heat, d represents the thickness of the material, and ΔT represents the delta, or difference, in temperature between one side of the material and the other side. According to the thickness of the material, thermal conductivity can vary. For the following examples, we will assume that all materials are one meter in length and the difference in temperature between one side and the other used is 298K (25 C). Thermal Conductivity of Copper: 386 W/mK. Thermal Conductivity of Liquid Water: 0.606 W/mK. Thermal Conductivity of Air: 0.02624 W/mK. Thermal Conductivity of Aluminum: 205 W/mK. 1. What is the branch of science that covers the study of thermal conductivity? 2. Why is heat transferred at all? 3. Of these materials, which transfers heat the best?